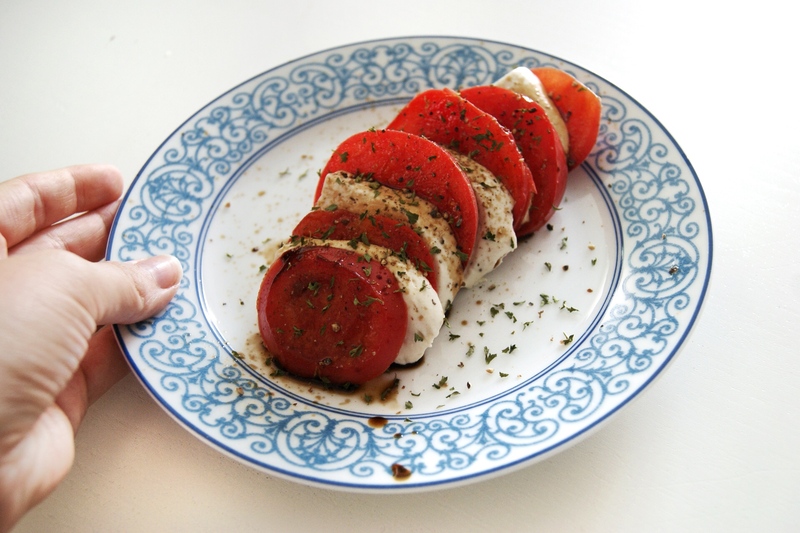 Vegan friendly Caprese – wait what? YES! Leckere sonnengereifte Tomaten und italienischer Mozzarella, eine perfekte Kombination während diesen heissen Sommertagen. Darauf verzichten weil man keine Produkte tierischen Hersprungs essen möchte? – Natürlich nicht! There’s no better combo on a hot summer’s day than sun-ripened tomatoes and italian Mozzarella. If you’re reading this, there’s a huge chance that you are not consuming any animal products and you’re probably thinking “What the heck?! This blog is supposed to be cruelty free!” I have got you covered! I’m going to show you how to make your own vegan Mozzarella.